In the spirit of optimism and support, we salute your new year’s resolutions, whatever they may be. In our experience, what separates those who achieve their new year’s resolutions and those who don’t is simple: setting and pursuing resolutions in an intelligent, safe way. Failing to do so can not only derail a person’s gung-ho pursuit of newly minted resolutions, but lead to pain, injury, and unexpected consequences. 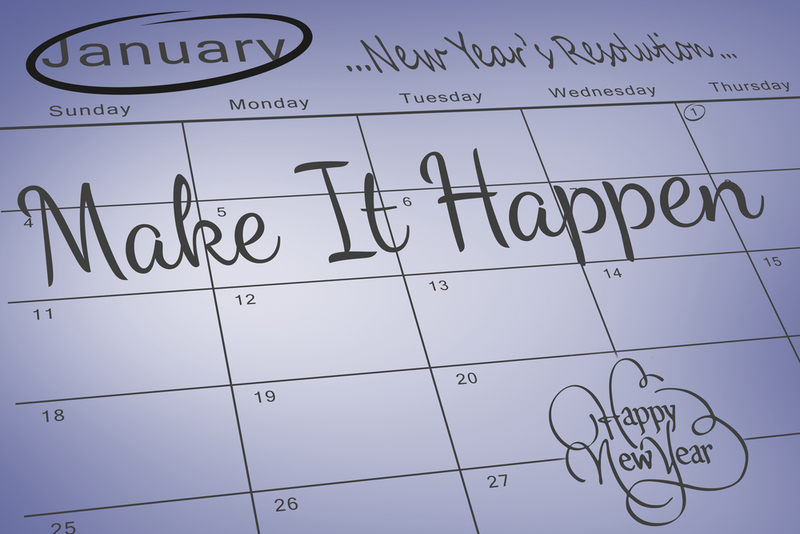 Here are four ways to safely achieve your new year’s resolutions. One reason resolutions are so appealing is because they show us where we want to be. They do little, however, to remind us of where we are today. Before setting resolutions, take a detailed inventory of your baselines. This should start with a visit to the doctor for a routine physical. This appointment will give you baseline numbers around your height, weight, heart rate, and other key diagnostics. Blood work and urine samples can help identify any other risk factors you might consider before starting a workout program. Aside from physician’s approval to exercise, you can also get a body composition assessment to get numbers around body fat percentage, BMI and other baseline indicators. If your resolutions include running, gait assessment and analysis can prove highly informative. All of this information will help you identify safe goals to set and give you concrete numbers to measure your progress against. A surefire way to fall short of fulfilling your new year’s resolutions is to set unrealistic goals. This is also a good way to find yourself out of commission due to injury. Avoid this common pitfall by setting specific goals that are both achievable and sustainable. Instead of making a resolution to lose fifty pounds, aim for the first ten by the first of March. If your goal is to do the splits, start by touching your toes. Overly ambitious goals can lead you to push yourself unsafely, increase injury risk, and be too hard on yourself should you fail to achieve resolutions that might have been wildly unrealistic in the first place. Though a shock to the system can sometimes be a good thing, it can also be dangerous for certain people, body types, and conditions. Rapid weight loss for obese individuals, for instance, or going from a sedentary lifestyle to marathon training can lead to injury, complications, and unforeseen consequences. Consult with a physician first and always remember the age-old adage: baby steps to the bus. Without adequate rest, a relatively balanced diet, and plenty of water, few resolutions have any chance of flowering. That’s like hopping into a car with no oil, coolant, or fuel, then expecting it to make a trip across the country! Put yourself in a better position to succeed by defining a list of five fundamentals, and then obsess over them. Examples might be getting eight hours of sleep at least five nights a week, or drinking eight eight-ounce glasses of water a day. No food, not even snacks, after 8:00 or 9:00 pm. Always stretching before (warm-up) and after (cool-down) exercise. The more consistently you make good on these fundamentals, the better equipped you’ll be to make good on your greater resolutions. In fact, consistently doing these things on a daily basis could be a resolution in and of itself. The new year is in full swing and we hope your resolutions are, too. We believe in you! We also believe in setting safe, realistic goals and putting yourself in the best position to be successful. You’ve got this! Follow the four fundamental steps above and you’ll be well on your way to always making your new year’s resolutions come true.